CELL INFUSE STEMULATE contains abundant quantities of high-grade apple stem cells that have been scientifically proven to visibly reduce the signs of aging. Their “adaptogenic” qualities focus the goodness where your skin needs it most. Using natural and organic ingredients, STEMULATE has proven skin-replenishing peptides, that signal to our skin to make more collagen, resulting in “plumper” skin with the appearance of far fewer lines and wrinkles. 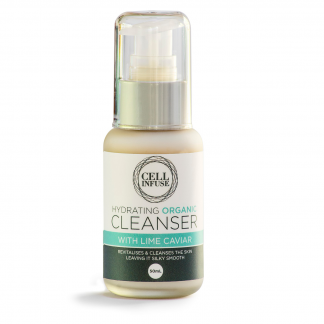 This amazing organic skincare product gives you the very best natural skincare approach. Massage one pump onto a clean face, neck & décolletage in the evening. For best results allow STEMULATE to penetrate the skin for up to half an hour before going to bed. I have been using Cell Infuse products for around 3 years. I have found Stemulate wonderfully light on the skin and has helped reduce my wrinkles and keep my skin looking years younger. I recommend this product highly! 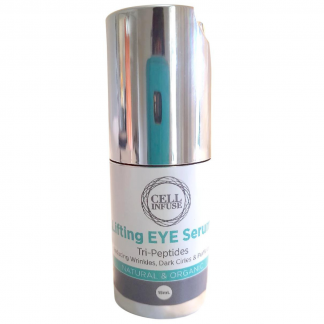 I have been using the Cell Infuse Stemulate for nearly a year now and I just love what it has done to my skin. 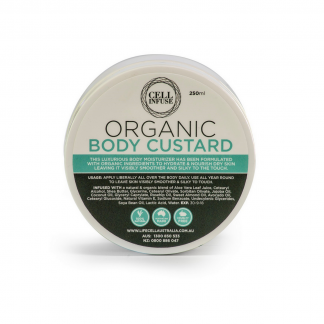 Gone are the days of going to bed with a heavy greasy cream sitting on my skin. The Stemulate applies lightly and I find it doesn’t clog my pores as have some other creams I have used in the past. It has reduced my fine lines and my skin has a much healthier appearance in the morning. Great product. Skin feels firm and looks youthful after every use. Visible signs of wrinkles have definitely reduced after 2 weeks of use. I love this product. My skin is smooth and soft. I live in a hot climate and keeping the Stimulate in the refrigerator is perfect. It is refreshing. A great product. I am so glad I found Cell Infuse. I used a product for years until a few week ago when I changed Stemulate. Even though its been a short time, I am loving it. It feels great on my skin and I feel like it really penetrates my skin which is exactly what we want to happen. Definitely will continue using Stemulate. I have used Stemulate Anti Aging cream for about a month now. I have definitely seen an improvement in the fine lines around my eyes and in general my skin feels a lot smoother and softer. I also think I look more “alive” when I wake in the mornings! The occasional bags I had under my eyes have also significantly improved. Will purchase again. 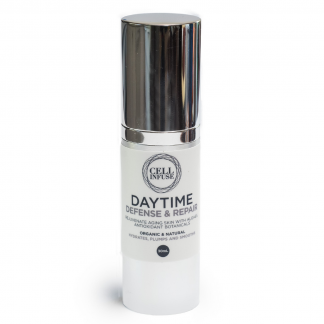 I’m relatively new to Stemulate but have now included the day care cream in my regime. Both products have a beautiful texture on the skin. Applying the day care cream straight out of the fridge feels sublime – cool and creamy!! My skin feels fresh and revived. I am really happy with Stemulate. It goes on refreshingly light at night without that greasy feeling before going to bed and when I wake up and feel my skin in the morning it feels nourished and stays extremely hydrated throughout the day. I am so impressed with the whole Cell Infuse range and this night cream is one of my favourite products. 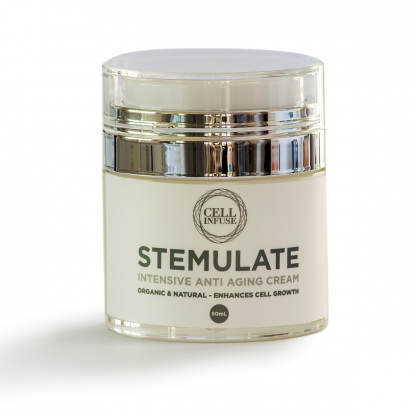 Stemulate moisturising night cream has been the most successful night skin product I have ever used. It has made my face feel hydrated and reduced the appearance of wrinkles. My skin feels renewed and soft. I have only been using Stemulate for a few weeks . It leaves my skin feeling tingling , soft and fresh and I love the rosy glow . I have used other cell infuse products and have been extremely happy , so I am looking forward to the results from Stemulate . Going to purchase another jar while it is on special ! I was dubious at first, but having used Stemulate I am delighted with the result. It leaves my skin feeling hydrated as well as reduced the appearance of wrinkles, and makes me feel confident and younger. I cannot recommend the product enough. My skin was dry and flat looking . I had tried a variety of other products which often felt heavy on my skin . Nothing felt like it was actually making a difference . Stemulate changed all that. I am very happy with my Cell Infuse products. My skin feels supple and much fresher . Very satisfied customer .